The year 10 Learn2Lead New York experience is finally here. Price incudes flights, transfers in and around New York, accomodation, meals, entrance fees, guides and all programming. 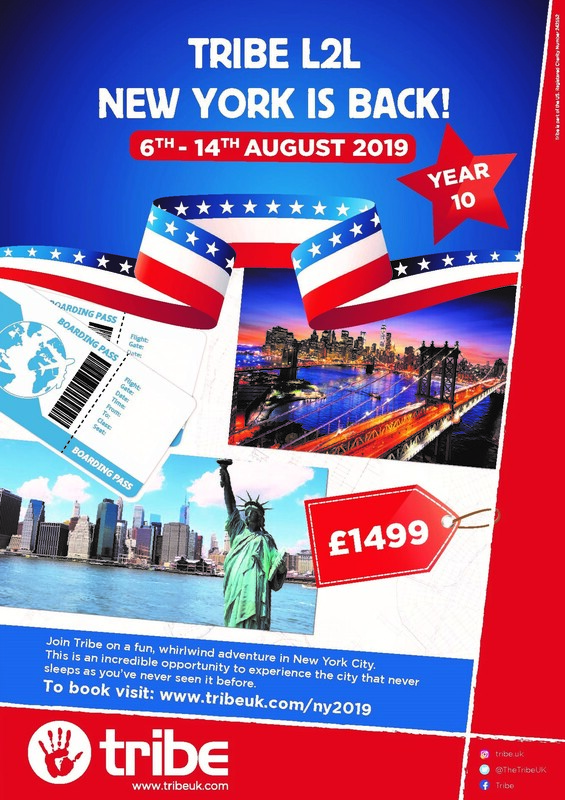 Join Tribe on an incredible trip to New York! During the programme, participants will visit world renowned Jewish educational sites, with an emphasis on strengthening teenagers’ Jewish connection and enhancing their leadership qualities. Alongside these thought-provoking experiences Tribe will also be visiting some of New York’s biggest sites and attractions. It’s an opportunity not to be missed!! To confirm a place please select one ticket option below and complete the form.